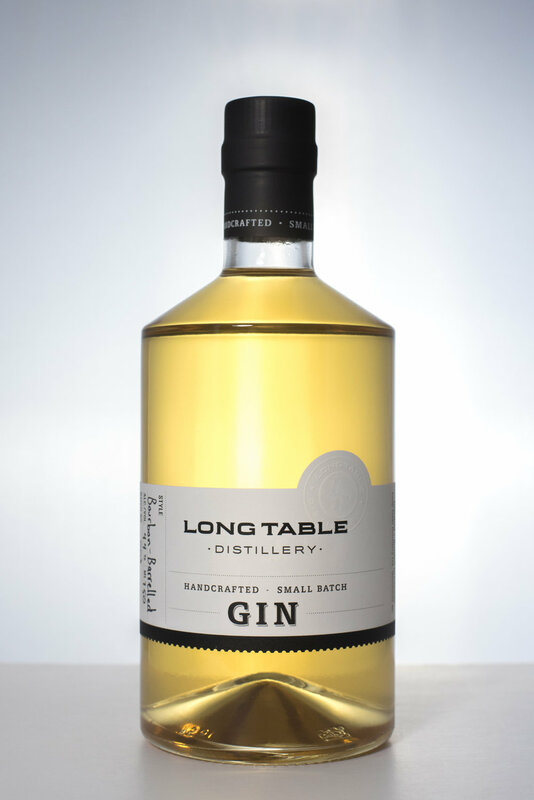 Vancouver’s first micro-distillery, Long Table was Co-founded in 2010 by Head Distiller Charles Tremewen and Partner Rita. As ginsmiths their focus is on producing handcrafted, premium-quality GINs AND unique spirits, rooted in a passion for following traditional distillation practices on a small-batch scale. In each batch, Long Table brings together 100-per-cent Canadian grain-based alcohol, a range of organic and natural ingredients, locally foraged botanicals and West Coast-inspired recipes that have built the distillery’s reputation for offering an award-winning and critically acclaimed lineup of gins and seasonal spirits. Long Table’s custom-built, 300-litre copper-pot still is the beating heart of an operation that consistently micro-distills a celebrated collection of premium spirits that reveal bold character and refined taste. Each handcrafted batch tells a story of unique and often subtle flavour notes that are derived from skillfully crafted proprietary recipes. Long Table’s fresh, organic and natural ingredients are handpicked by a network of expert wild foragers in local mountains or select sources from around the world. Even the water Long Table uses is sourced from British Columbia’s pristine Coast Mountain Range. This critically acclaimed, premium small-batch Vodka is copper-pot distilled with small amount of fresh lemon grass and then polished over a bed of locally sourced Texada Island limestone to create a clean spirit with a smooth mineralized texture and a subtle hint of citrus complexity. This premium handcrafted Gin is aged in smaller 30-litre bourbon barrels and bottled when the spirit is suitably aged. The result is an aromatic small-batch gin with a uniquely complex finish, perfect as a sipping Gin or the foundation for a variety of cocktails. The flavour profile includes aromas of grapefruit, orange peel, spicy juniper and hints of baking spices on the nose, paired with silky smooth caramel and vanilla notes on the palate, leaving a lingering, rich and robust finish. Rarely does an opportunity to acquire an exquisite five-year aged pear brandy come your way. We secured this fine spirit through a cooperative relationship with the folks at Deep Cove Brewery and Distillery. Our Master Distiller, Charles Tremewen was approached with an offer to transfer three barrels of brandy to Long Table Distillery because Deep Covers distillery license would only permit them produce spirits made from BC agricultural inputs. As it turns out this unique spirit was distilled from Oregon grown Bartlett Pears and by regulation was subject to disposal to retain their license. When both distillers shared a tasting of this brandy they recognized that to discard it, was out of the question. The result was a cooperative bond established between two of BC’s micro-distilleries to work together and save, what we believe, is an outstanding example of a VSOP Reserve Pear Brandy we know you will enjoy. This Limited-Edition Reserve Pear Brandy was rested in 2009 in Pinot Gris barrels. Today this beautifully balanced spirit has a nose of honeysuckle, pear drop, and vanilla sweetness. Up front on the palate there’s a touch of oak and honey, followed by a gentle vanilla that fades into pear and sweet alcohol warmth. This gold award winning BC crafted Gin is our take on a London Dry style and is defined by its combination of eight botanicals that offers clean, fresh tasting notes of bold piney juniper, celery, light zesty citrus and faint cashew nuttiness with enlivening black pepper spice. Fragrant, flavourful and fresh. Made in a traditional Scandinavian style, this award winning handcrafted Akvavit is copper-pot distilled in small-batches. Långbord Akvavit gets its characteristic notes from six hand-picked botanicals which include caraway, fennel, anise and a Seville orange. The nose is greeted by complex licorice and orange notes but a smooth, sweet finish of lingering marmalade and prevailing herbal notes on the palate. When served from the freezer, its thicker viscosity makes Långbord Akvavit an inviting aperitif and/or digestif and the perfect base for variety of creative craft cocktails. In making our first Amaro, we worked in collaboration with The Apothecary Bitters Company to create what we believe is a truly outstanding liqueur. It has forward notes of tobacco, vanilla and citrus with an herbal finish. The combination of the spirits we distilled from 100-per-cent BC organic merlot grape pomace and an infusion of 28 carefully selected botanicals results in a one-of-a-kind, traditionally styled Amaro and now, the first to be made in BC. ur Seasonal Peppermint was inspired by a search for an unsweetened, natural-tasting fresh peppermint spirit for use in cold or hot beverages and baking. This simple white spirit is made by distilling fresh organic peppermint leaves and then proofing to a soft mint profile. This gold award winning, crafted in BC gin offers complex balance of nine botanicals, including two peppers. Made with fresh BC cucumbers sourced from the Sunshine Coast, this gin has fresh cucumber notes, delicate hints of toasted pine nuts, citrus zest, light floral and a peppery spice finish. Simple, civilized and classy. This Swedish styled Akvavit is copper-pot distilled in small-batches and then rested in Rye Barrels giving it a distinctive oak, licorice and orange note on the nose. Rich caramel warmth on the palate. Lingering vanilla, licorice and subtle spicy chocolate finish. Perfect for sharing! Our Limoncello was inspired by several tastings we had during a visit to Italy’s Cinque Terre. Following the age-old Italian tradition of using honey — not sugar syrup — and fresh, hand-peeled lemon zest, we were able create this timeless liqueur. The blackberry honey we use is owed to our relationship with Hives for Humanity, a local non-profit social venture that supports community connections through beekeeping. The resulting combination is a naturally sweetened and traditional Italian Limoncello. Our Marc du Soleil is a unique spirit created in collaboration the award-winning, family owned and operated Clos du Soleil winery in BC’s Similkameen Valley. Made from 100-per-cent BC Organic Merlot grape pomace — a sustainable by-product of the first pressing — this spirit is reconstituted into a wine, distilled and then oaked in three different barrel types. The result is a smooth, blended spirit with notes of ripe plum, butterscotch and vanilla bean with hints of anise and blackberry, followed by a smooth lingering finish of toffee and black cherry.